Friends of Local History will be giving a tour of 3 local cemeteries on Wednesday, October 10th at 10 am. The cemeteries are Davenport and Townsend in Curry and Pound (also known as Mutton Hill) in Neversink. There will also be a surprise visit to one other cemetery. The group will meet at 10 am at the Daniel Pierce Library and proceed by car from there. In case of rain, the event will be cancelled. There are approximately 20 documented cemeteries in the Town of Neversink. The Town of Neversink has documented these at the state level. 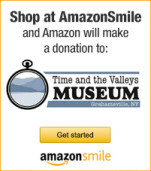 The Time and the Valleys Museum has archived data about each one which is available for research at the museum. The Davenport Cemetery is the burying place of Jacobus Davenport who helped bury John Graham and his men after the Chestnut Woods Massacre. The Pound or Mutton Hill Cemetery is the original burying place of the Neversink’s first supervisor, Henry Reynolds. History reports that Reynolds survivors moved his remains to his early home in Orange County but left the memorial kiosk to mark his life in the Town of Neversink. Robert Dice wrote that “The Pound” was set aside from the Grant of the 1000 acre lot for burying purposes by the Township of Rochester to the Rochester Reformed Church.” Students of local history may remember that the Neversink area was originally part of the Town of Rochester, Ulster County. For further information about the cemetery visits on October 10, e-mail neversinkhistorian@gmail.com or call 985-2452.